Italian high-fashion house and masters of vibrant knits Missoni have teamed up yet again with Converse to ultra-lux a series of their Chuck Taylor All Stars. 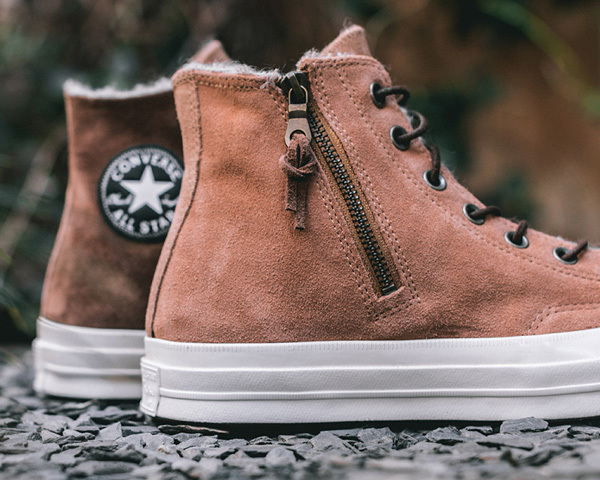 There’s just something fundamentally classic to a pair of Chucks that they will always garner new designer reduxes. Hence the arrival of the Missoni’s new Zip Hi “Cashew” this Fall/Winter. With the upper in Cashew-colored suede and a warming Missoni-knit interior, this interpretation of a classic is tasteful, neutrally toned and seasonally appropriate rendition. 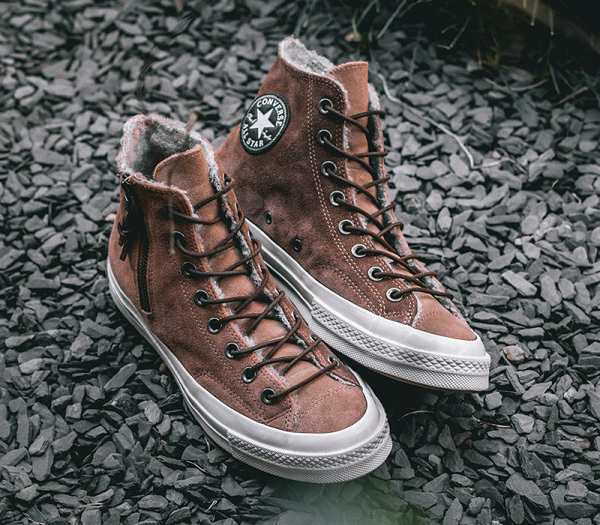 Other attributes include vintage heel branding, brass eyelets which house the waxed and rounded laces, turned up rubber foxing and tasseled side zippers. Cash in on the Cashews for $200. 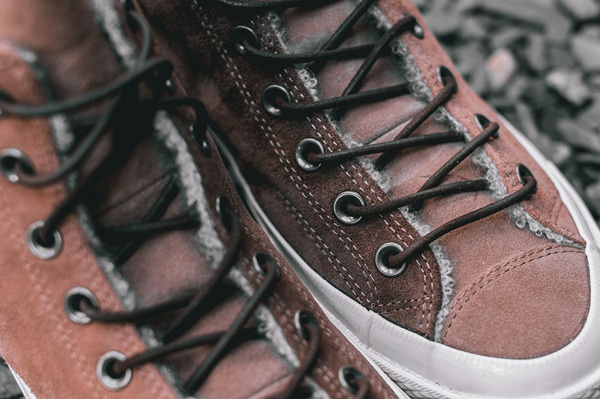 Get a closer look at the Missoni x Converse Zip Hi “Cashew” Sneakers after the Jump..